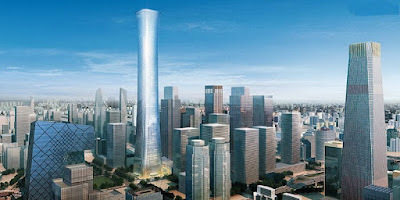 The highest building from Beijing will be Z15 Tower (528 m). After its completion next year, Z15 will join the 10 tallest buildings in the world, nudging aside Taipei 101 by 20 meters, and becoming one of six buildings in China that are among the world's highest. Designed by TFP Farrells, Z15 Tower will be finished in 2017. On March 31, it finished pouring the concrete for the first 40 of its eventual 108 floors above ground, with another seven underground. It will reach 528 meters in total and become the tallest building in Beijing, towering over the China World Summit Wing by 198 meters. It will be almost double in height as the Titanic was long. On Aug. 14, 2016 shows the Z15 Tower (1st R), also known as China Zun, under construction at CBD (Central Business District) of the Chaoyang District of Beijing, capital of China. 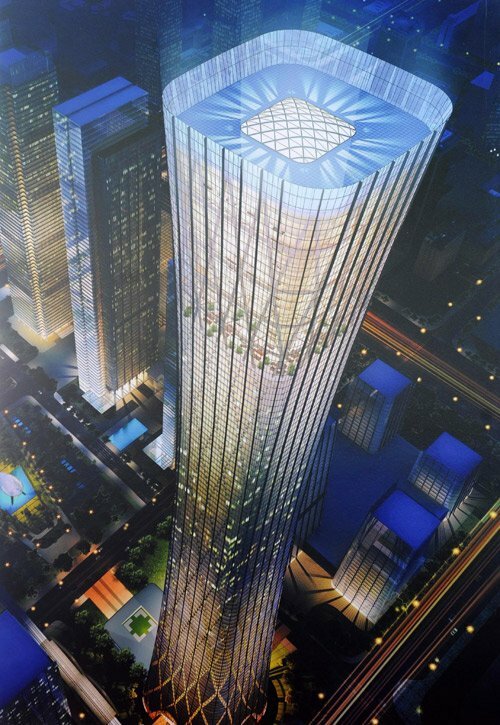 The Z15 Tower now reached the height of 330 meters with 68 finished stories, becoming the highest building in Beijing. It's expected to be 528 meters high with 40 more stories to be constructed.